Do you listen to podcasts? A podcast is a collection of digital audio files usually presented as a series of episodes and made available for streaming and/or downloading via the Internet. Podcasts are a great way to learn, be inspired, and stay connected. Listen while driving, doing busy work (filing, sorting, numbering music, etc. ), or taking a walk. I enjoy listening to podcasts in the afternoon while doing busy work or designing prints for the shop. Podcasts have become more and more popular in recent years, with new podcasts coming out all the time on a variety of topics. Today, I'm sharing some of my favorites for choir directors and church musicians. Enjoy! Led by choral directors Victoria Hopkins and Christine Mulgrew, Total Choir Resources offers tools, tips, and resources for choir leaders. Though geared to community or school choir directors, many of the materials are relevant for church choir directors, as well. The podcast includes topics such as ways to improve your teaching skills in rehearsal, book recommendations, how to give constructive feedback to your choir, and ways to build camaraderie among choir members. Browse the podcast archive here. If you're looking for something more traditional, tune in to St. Mark's weekly podcast. Each week, you can hear the Compline service as it's sung Sunday night at St. Mark's Episcopal Cathedral in Seattle, complete with Plainsong settings, hymns, and anthems. Music is provided by the Compline Choir. Listen to this week's service and browse the archive here. Find Your Forte features interviews and conversations with choral directors from around the world. 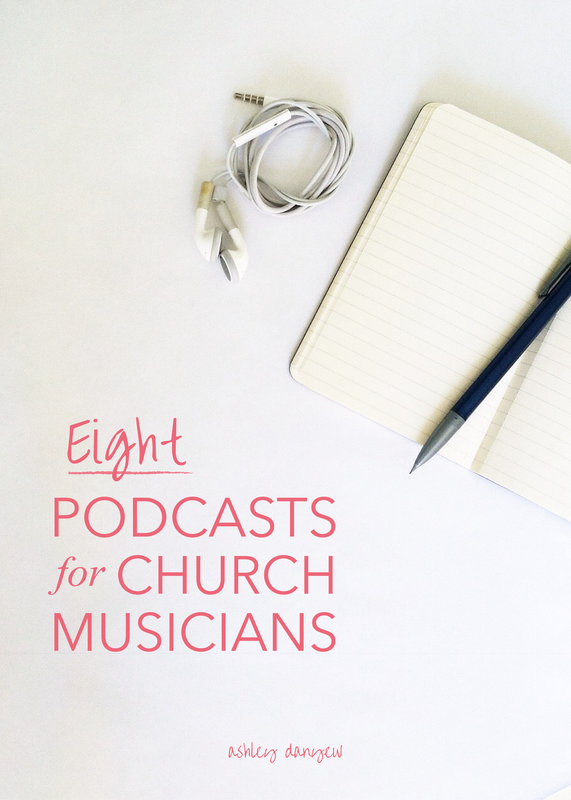 Though geared toward the young choir director, this podcast is applicable for the "passionate musician, artist, choral enthusiast, musical entrepreneur, solopreneur, or sidepreneur." In each episode, Ryan Guth introduces the guest conductor, talks about what makes them unique, and asks questions about their routines, favorite concerts and books, and new projects. The guest conductor often shares a few words of advice at the end of the episode. Okay, so this one is not quite a podcast, but it is a weekly radio program that you can listen to online. Does that count? With Heart and Voice, hosted by Peter Dubois celebrates the liturgical year by featuring choral and organ music from a variety of denominations, cultures, and nationalities. It airs in Rochester, NY on Sunday morning and evening (listen online if you're not local), but is also syndicated nationally. Listen to this week's program and read about past programs here. Similar to With Heart and Voice, this online radio program features a variety of sacred choral recordings (hymns and anthems) based on the Revised Common Lectionary scripture readings of the week. Sing For Joy is produced by St. Olaf College. Geared toward worship leaders in more contemporary settings, this weekly podcasts features interviews with worship leaders and songwriters, and discussions focused on the "heart, skill, and calling of worship leadership." Topics include singing the psalms, the call to ministry, resources and tips for working with a worship team, and more. New this year, this weekly podcast focuses on the liturgical calendar with authentic conversations about each liturgical season. Led by Jenn Giles Kemper of www.sacredordinarydays.com and Lacy Clark Ellman of www.asacredjourney.net, the podcast includes a wide variety of resources, spiritual practices, and insight into the rhythms and patterns of the liturgical year and the sacred nature of our ordinary days. Every Sunday, Marsh Chapel (at Boston University) hosts an interdenominational protestant worship service for the university and Boston community. The March Chapel Choir, under the direction of Dr. Scott Allen Jarrett, sings every week (if you've never heard them sing, do yourself a favor and look them up on YouTube). SD and I had the opportunity to hear them in person at the Marsh Chapel Lessons and Carols service in 2011 - still one of my favorite musical experiences. The 11 a.m. service is broadcasted live each week and shared via podcast (archived back to 2008). Listen to the full services here (the Lessons and Carols services really are exceptional). Also, in case you're interested, here is a list of all the Marsh Chapel repertoire (upcoming and dating back to 2007). A great resource! What are your favorite podcasts? Have a favorite I didn't mention? Please share it in the comments below!